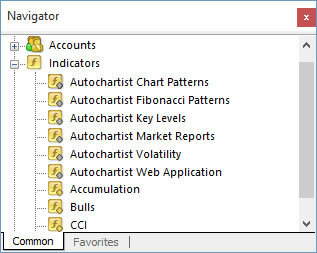 All Autochartist's features are delivered to your trading platform via a custom plug-in which links seamlessly to the Autochartist web application bringing you superior scanning ability for the latest trading opportunities. 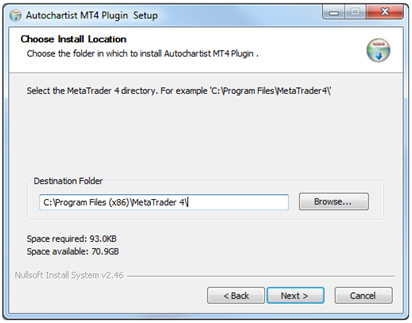 Step 7: To launch the Autochartist web application drag and drop the Autochartist Web indicator onto the trading platform. A: Represents an OBJECT – to move the white block, double-click on the frame and move to a new position. Once a new tick comes through the block will move. 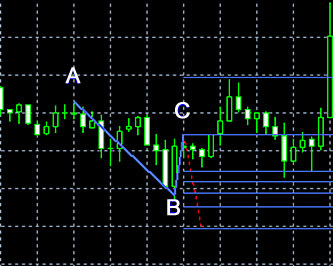 The screen shot above is an example of a Fibonacci pattern. 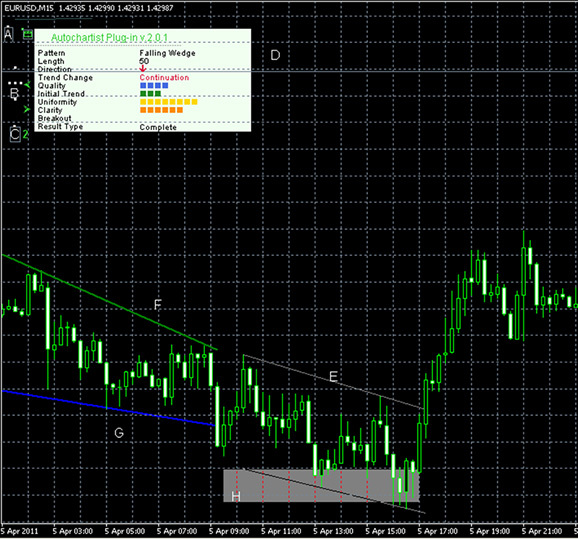 above indicate the Fibonacci turning points. The red dotted-line indicates a predicted movement of emerging (only) Fibonacci patterns. The screen shot above is an example of Autochartist's Volatility Analysis feature. The blue lines on the above image indicate statistical price-movement ranges at the indicated time granularities.